Welcome to the Appart Hotel Amina! Situated in Marrakech, one of the local tourist destinations in Morocco. This hotel will meet your needs for a perfect relaxed stay. The property offers numerous facilities to enjoy a fantastic holiday. Onsite parking for a small supplement is available. A safe is available at reception for your disposal The property offers extra facilities available upon request, for a small supplement. The property is equipped with wi-fi, in exchange for a small additional charge. A babysitting service is at your disposal, inquire about rates directly at reception. In addition to all the facilities at this property, there is a wide range of gastronomy and cuisine on offer. Our restaurant offers a wide choice of starters, main courses and delicious desserts. 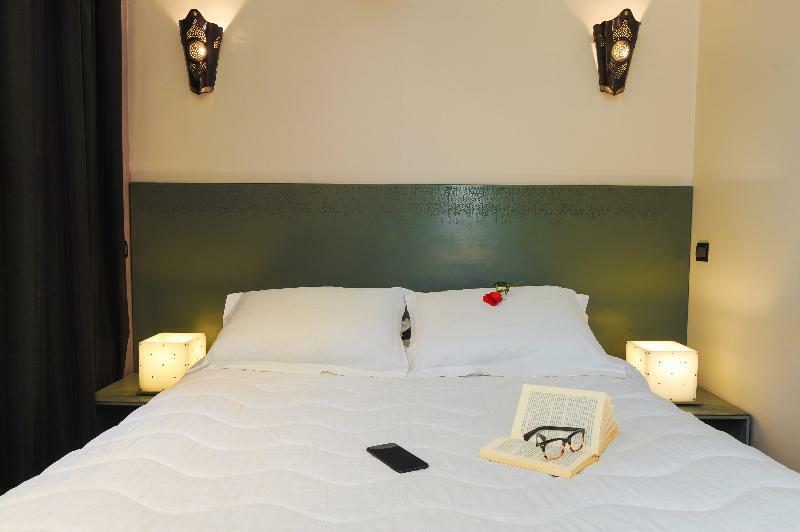 All rooms are equipped with the following facilities for your own comfort: a television, a mini-bar, a hairdryer, an ironing board and air conditioning. Some amenities may be payable locally. Of course your holiday would not be the same without a children's swimming pool to guarantee their own fun or an indoor swimming pool for entertainment whatever the weather and a main swimming pool for everyone to enjoy.